I can't tell you how many new people I've had visit my blog recently and say, "I found you when I was doing a Google search on ORB spray paint", or "My friend said I should come over and read your posts about ORB spray paint." So apparently I've become the Oil-Rubbed-Bronze-Spray-Paint-Girl. Well...okay...I can deal with that. I guess this sprung from my love of Rustoleum's American Accents ORB spray paint (which is now hard to find), and trying to find a good replacement. So I've decided to embrace my new title and go that extra mile by doing an ORB spray paint "taste test" (although I do not recommend actually tasting paint...I'm just sayin'). I chose 3 different types of spray paint to compare, and sprayed 3 decorative orbs from Walmart. Contender 2) Rustoleum Bright Coat Metallic Finish Spray Paint in "dark bronze"
Numbers 1 and 3 are pretty darn similar...and number is (like the old Sesame Street song says)...not like the others. The Krylon Brushed Metallics ORB paint (on the right) is very similar to my fave Rustoleum American Accents ORB paint (on the left). My fave is a smidge warmer, but really, there's not much difference. The Rustoleum Metallic Dark Bronze (in the middle) is kind of pretty, but it's not a replacement for my fave. It's lighter than the other two, and more brown. If you're looking for an ORB paint that has more brown in it, though, it could be a good option. In summary? 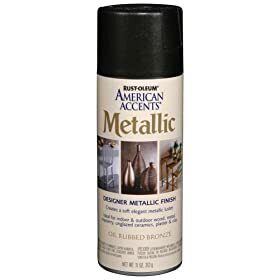 If you can't find Rustoleum's American Accents ORB paint, you should opt for Krylon's Brushed Metallics ORB paint (I found mine at Walmart for less than $3). 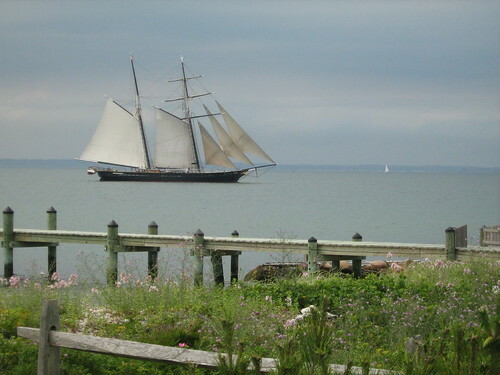 I have a friend who's visiting Martha's Vineyard right now....can you say jealous? Seriously, I would give my left pinky finger to spend a week in "The Vineyard" right now. 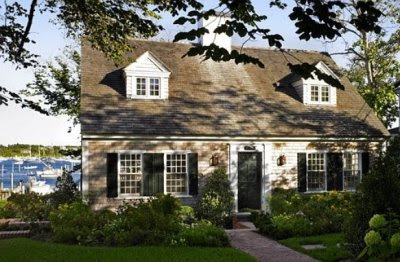 You know, with its charming little villages, adorable shingled cottages, and salty ocean breeze. Ahhh, that's my idea of heaven. Well...since we can't all join my friend in "The Vineyard" I thought I'd give us a little eyecandy so we can pretend. Charm and interest are all in the little details. I'm talking about the smart use of fabric, accessories, and those unexpected items that just add that extra bit of "wow" to a room. 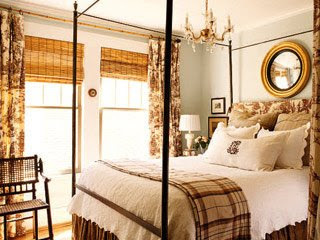 For instance, this bedroom by Heather Chadduck is absolutely gorg, but (aside from the great color scheme and toile...can you say yummy?) it's the little details that really make the room. Mirror= fab, chandelier=double fab, monogram on the pillow=(can you guess?) triple fab. Each of those items subtly make this room more interesting that it would otherwise be. And the close-up (you know you wanted a better shot of that toile). 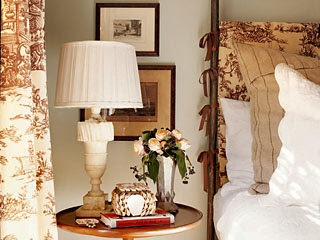 Look at the simple brown ties on the fabric covered headboard - instant charm. And the small framed prints? They tie in beautifully with the color scheme and they give the eye something interesting to look. 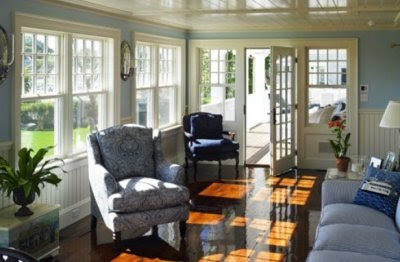 And we all love this room from the set of Something's Gotta Give...do we not? 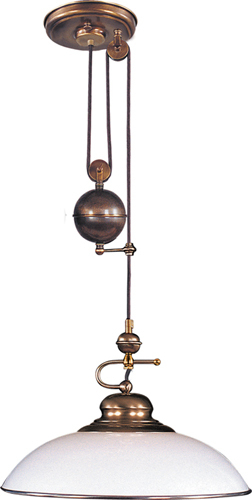 But what are the two elements that really make the room? My opinion? 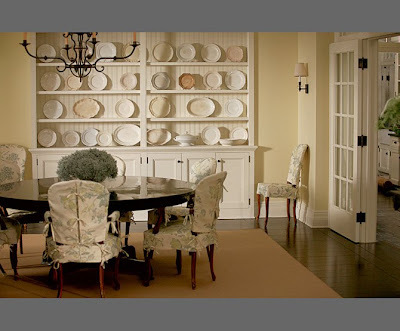 1) The amazing collection of ironstone plates (very simply displayed, by the way), and 2) The swoonworthy slipcovers on the chairs. Would it be a beautiful room without these elements?...sure...but would it be as interesting?.....uh, no. 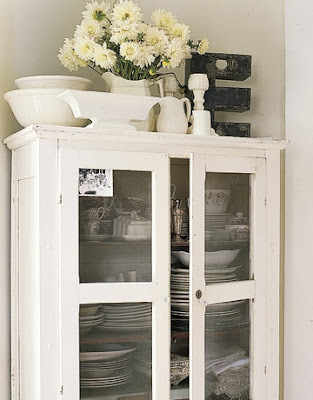 And here's an old Pottery Barn room from my files. 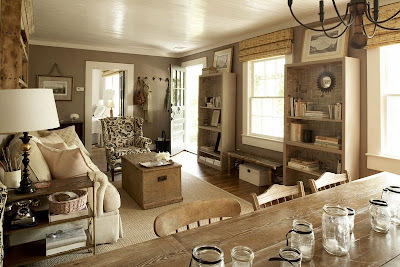 There are so many great elements in this room, but what adds the most interest? I'm gonna go with the mismatched collection of mirrors. 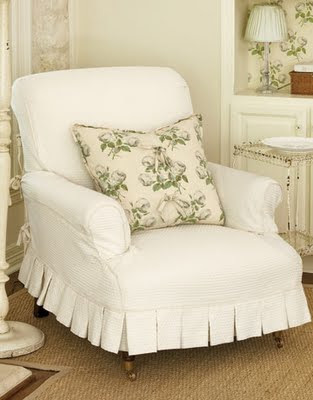 And of course the pattered pillows, ottoman, and ribbon detail on the window shade don't hurt one bit. And finally, can I tell you how much I love tailored pleats and simple ruffles? Ahhh, so charming. Basically, I didn't want to remove the entire lighting fixture ('cause I'm lazy like that) so I covered the wall and the counter below with paper bags so I could spray it in the room. I also covered the light sockets with tape so that paint wouldn't interfere with the fixture working correctly. I didn't prime first because...well, again, I'm lazy like that. And really, it's not going to get a whole lotta wear so I felt okay about skipping this step. I applied 2 or 3 coats of Rustoleum American Accents spray paint in oil rubbed bronze. This spray paint is now hard to find, but you can read about other options and where to find this one here. 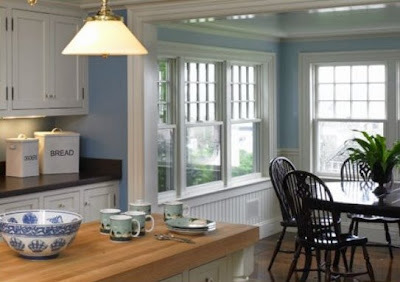 I also replaced the glass shades on the fixture. They were that ribbed glass which feels a little dated to me. And I felt like a more current looking glass shade would make a big difference. They were pretty inexpensive at Lowe's (I want to say $5 or $6) and I chose simple marbled alabaster shades. A couple of you also asked about painting door knobs. I haven't done this yet myself, but I have spoken with several people that have, and they've all told me that they hold up very well. I would definitely recommend that you prime first and then apply 3 light coats (with plenty of dry time in between and before use) for optimal durablity (yes...I said "optimal durability"...can you tell I'm in "work mode"? I'll get back to human speak later.). Happy painting! Let me know if you have additional questions. There’s good brass and then there’s bad brass. Good brass has been making a bit of a comeback lately. 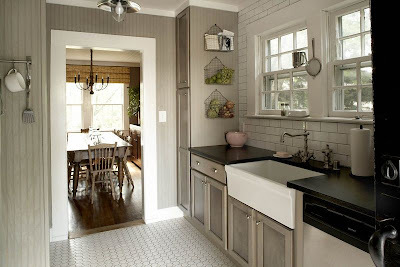 For instance, "Cutie-Pie" Nate Berkus (as his BFF Oprah calls him….and really, we all know it’s true...sigh), used brass hooks on the kitchen cabinet doors in his New York apartment. (You have to look reeeaaaally close to see them, but I promise I’m telling the truth). And if you look really, really close you can see that he also opted for brass door knobs and hinges. And then there’s bad brass….Ahhh, brings back memories doesn't it? Can you see the difference? In one word “patina”. Good brass is worn and has a unique, vintagey character. Bad brass is polished to the point that you can see your fluffy, shellacked bangs from the 1980’s in its reflection. 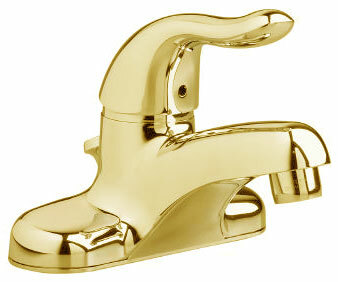 Still have bad brass in your house? No problem. If you can't replace it, just pull out the spray paint and give it an instant update, like I did to the light fixture in our powder bath. P.S. Thanks for all of your supportive comments about my new pillows. I definitely know who to turn to if I want permission to splurge :-). Well...not super naughty, but naughty for me. As you know, I'm a pretty frugal chick and I have certain rules that I rarely break when it comes to buying home decor. Rule 1: Never pay full price for anything (unless we're talking about TJ Maxx or a discount store like that). Rule 2: Be patient. Wait for that item you love to go on sale and then pounce. Rule 3: This is a special rule I have when it comes to pillows...never spend more than $20-25 on a pillow. $15 is more comfortable for me. Sooo, here's the thing. I broke every one of those rules in one fail swoop. Yes...me. 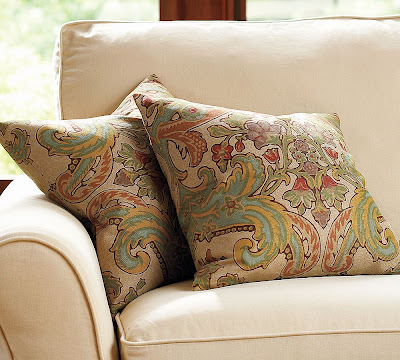 You see, I spotted these new Simone Pillows at Pottery Barn a couple weeks ago and I instantly fell in love. I knew that would be perfect in my living room, but at $39 each (for the pillow cover only, NOT the insert) I had to pass them up. I couldn't get them out of my mind though, so in a moment of resolute weakness I went back to Pottery Barn last Friday to buy one pillow...you know, to try it and see if I loved it as much as I thought I would. And they were completely sold out!!! I was on the phone with my mom at the time (yes, I'm one of the super annoying people that walks around stores with an earpiece talking to myself on my lunch break) and so she raced to her Pottery Barn in Utah where they had exactly 2 pillows left. Needless to say she bought them for me and shipped them out the same day (because she's that kind of mom)...oh, the check's in the mail, Mom. So, in short, I have $80 worth of pillows now sitting on my sofa and I loooooove them. They're just the change I needed in there, and they make my heart go pitter patter every time I look at them. I'm an Anthropologie girl at heart. For some reason I don't feel like it's realistic to decorate my house that way (except for a few little touches here and there), but Anthro's ultra feminine, slightly bohemian, quirky flea market asthetic just makes my little heart go pitter patter. Meet the Gate Headboard...my favorite headboard of all time. Do I own one? No...would I like to? Quite possibly....except for that pesky $1500 to $2000 price tag. Darn that thing called money! 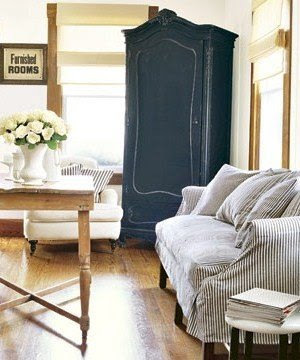 And then there's the Bird-Cut Armoire....hello lover. Oh the great memories we could create together...if I could scrounge up a spare $1898. Who needs to eat, right?...Oh, I that's right, my sports-playing teenage son who would eat a rhinocerous if I could lasso one up does. Hmmm...I guess it's just not meant to be, my little armoire amore. But, isn't there something about Anthropologie that makes you picture a life of sipping coffee at french bistros, eating fresh bagettes with cream butter, and riding your bike over cobblestone roads back to your ivy covered cottage? 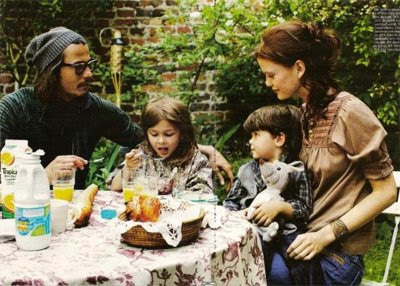 You know...kind of like the french village life of Johnny Depp and Vanessa Paradis...or at least what I imagine it to be. 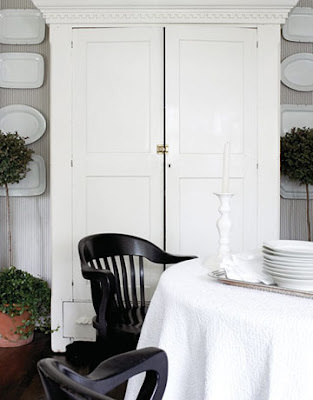 And since I decided to go Polyvore-crazy, here are a couple more Anthro rooms for ya. Head on over to the BLAH BLAH BLAHger today where I'm the "Tool Talk Tuesday" guest blogger. You can read all about my tool of choice...I'm sure it will be big a shocker to all of you :-). Also, I have to give a BIG thanks to Cheri at Its So Very Cheri for sending me this absolutely adorable apron. I don't think she knew this, but I've secretly been wanting a cute apron. It just makes cooking so much more fun. Thanks Cheri! I'm following up about last Wednesday's post (....also known as the most boring post I've ever written). I asked you what your favorite oil rubbed bronze spray paint is and I promised you I'd post the results today. Well...I don't know that I found the magic (ORB spray paint) bullet, but here's what I found...well, more accurately, what you wonderful, intelligent readers found. A) You can still buy cans of my favorite Rustoleum American Accents ORB spray paint on Amazon, but it's $11.49 a can (cough...cough, can anyone say "highway robbery"?). Another reader said that she found this paint at Joann's for $8 a can, which is still a lot, but much better than $11.49 plus shipping. B) Several of you recommended Krylon Brushed Metallic spray paint in ORB and said that you were able to find it at Walmart. So, thanks for indulging my quest for ORB spray paint. And thanks to all of you who added comments. I really appreciate it. Thus ends the saga of the most boring post ever :-). I promise I'll post some (hopefully) more interesting posts later this week.